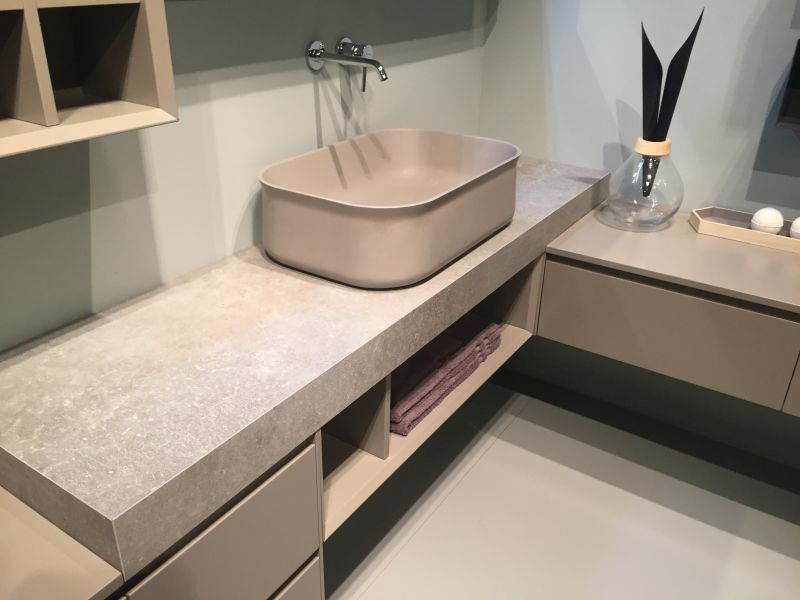 The challenge of finding the right balance of looks and function is best displayed when it comes to furniture and accessories designed for utilitarian spaces such as the bathroom or the laundry room. Although there are tons of bathroom storage ideas to choose from, not all have your best interest at heart. You have to look for designs that know how to mix the two most important aspects in the right proportions in order to allow you to make the most of this space. In our search for such successful creations we came across some very stylish and very interesting designs. 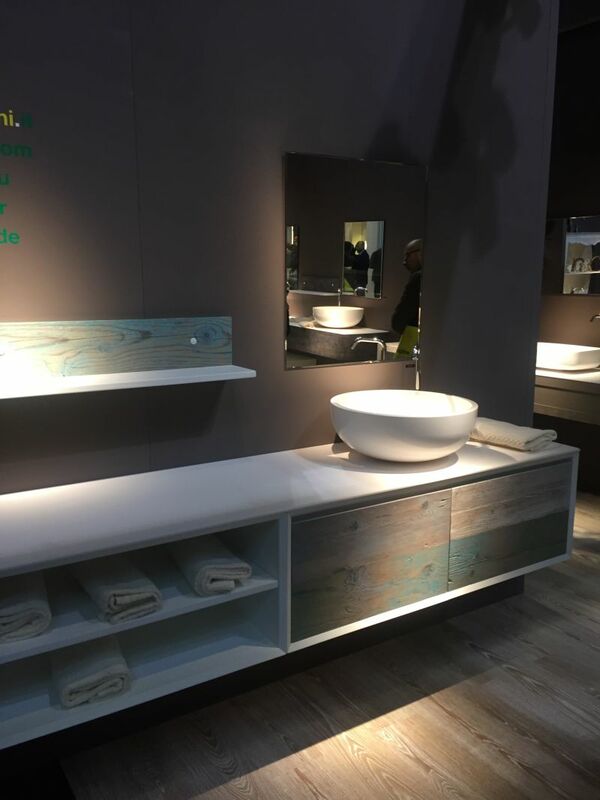 More and more modern bathroom furniture designs are trying to distance themselves from the traditional belief that the things we store in here should be hidden and put behind closed doors. A lot of modern vanities and cabinets have more open and simplistic designs and structures. It’s sometimes nice to preserve some of the charm of traditional decors. 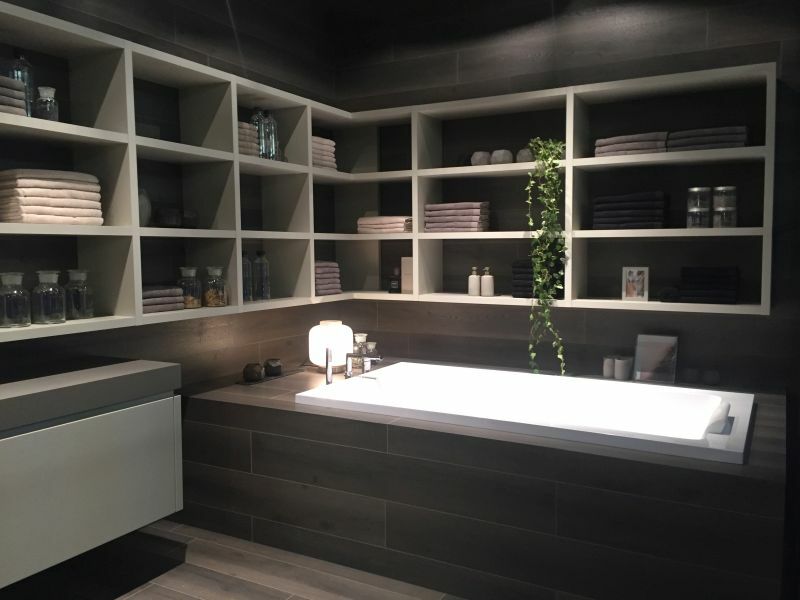 For instance, symmetry brings a sense of order to a space which can turn out to be really useful when dealing with a small area such as a bathroom. 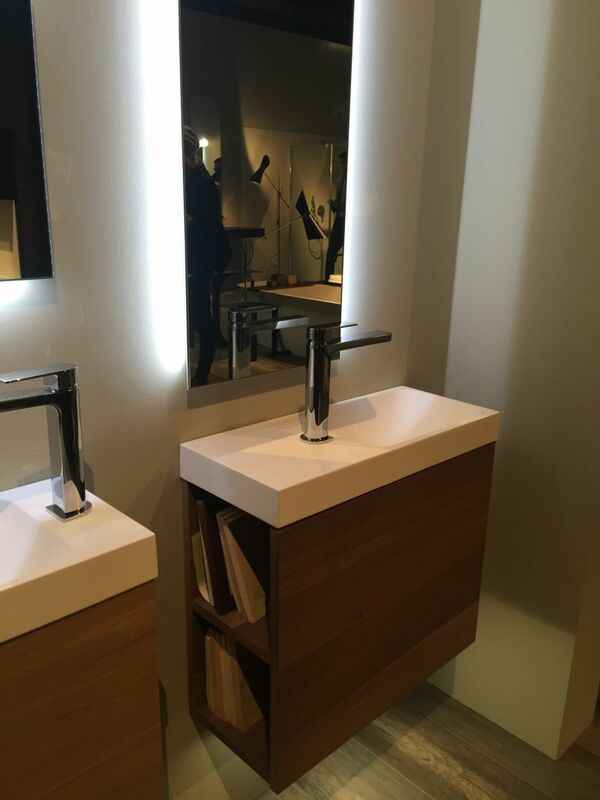 A double vanity is a great option for exploring this design trajectory. 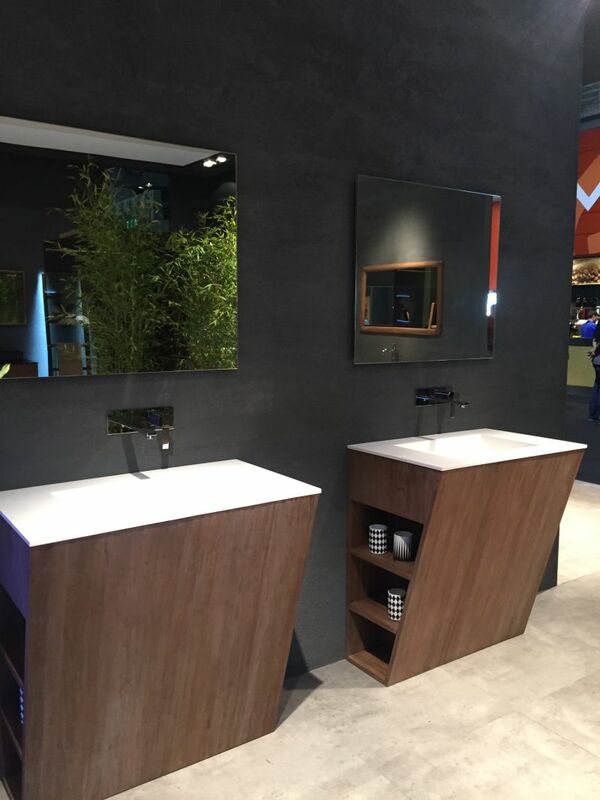 Double vanities are often accompanied by two mirrors, one for each washbasin. Their designs are not necessarily symmetrical although that’s often the case. The compartment in between the washbasins is a shared space often occupied by towels. A balanced bathroom storage strategy includes both open and closed options. 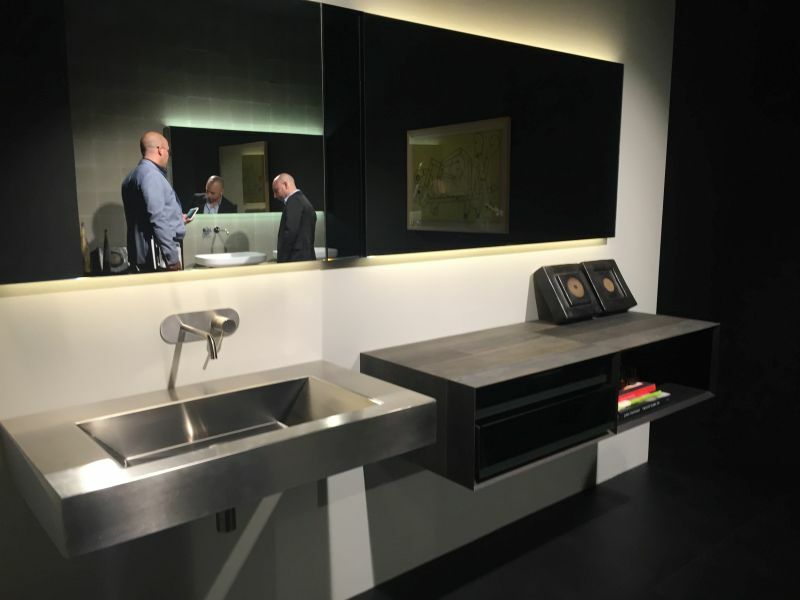 The under-sink cabinet can have open compartments on one side and closed doors on the other. An alternative can be a less drastic separation between these two storage options. A storage tower adds visual interest to the bathroom. Moreover, towers are also very versatile and space efficient. 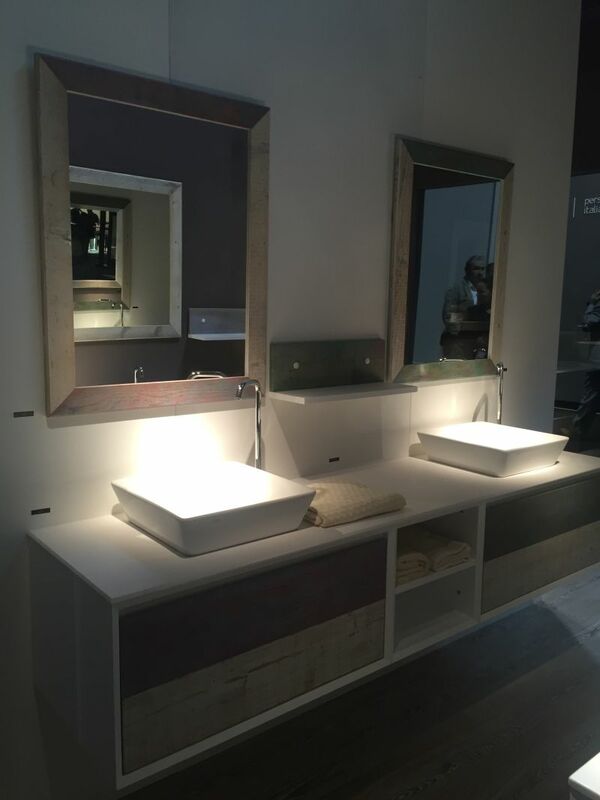 They can offer both open and closed storage in a compact format and they’re often part of bathroom furniture sets. Transparency is a good strategy for small bathrooms. In addition to a glass walk-in shower, a small bathroom can also include minimalist wall-mounted shelves or storage boxes with see-through designs. The best design strategy is to offer a variety of storage solutions. 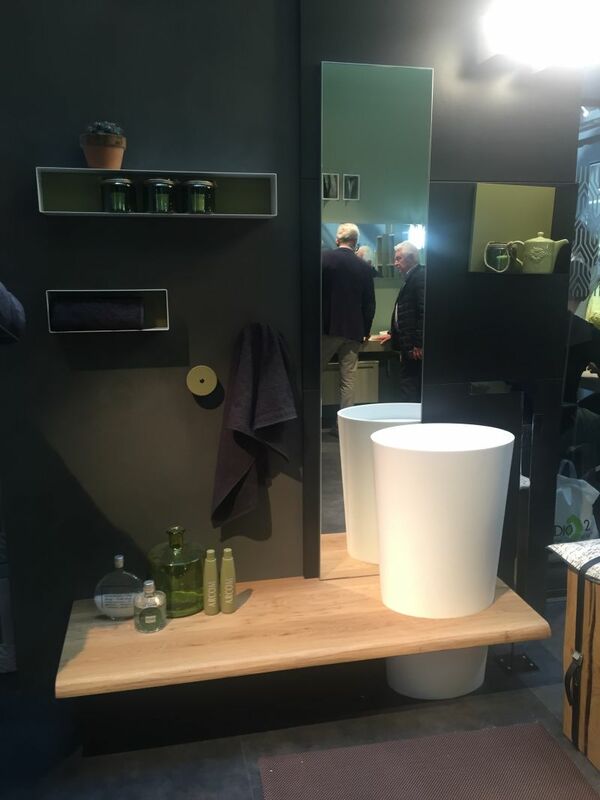 So, if there’s enough space in your bathroom for everything, include some open shelves, some counter space and also some hidden storage compartments for things you don’t want to put on display. 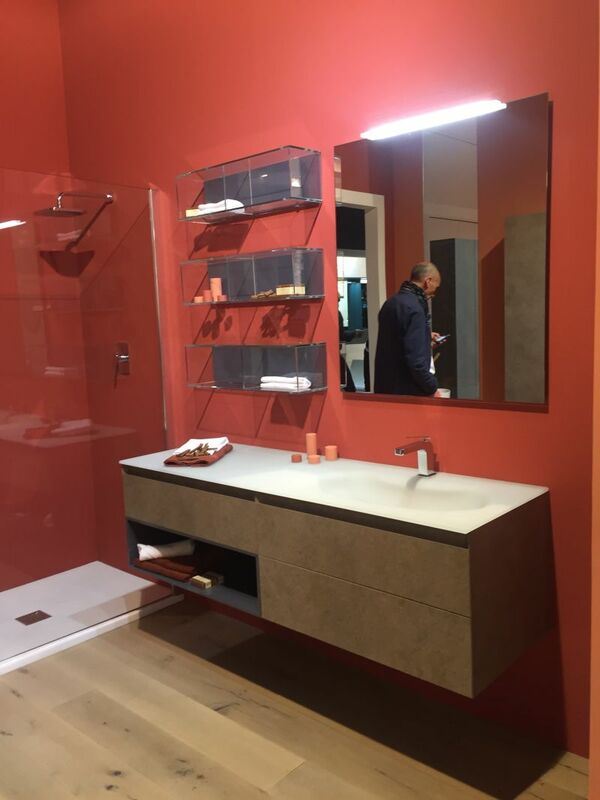 Corner units are quite space-saving, allowing you to make the most of every inch of space in the bathroom. Corner shelves are just as practical so perhaps you can have them both for increased functionality and a stylish look at the same time. 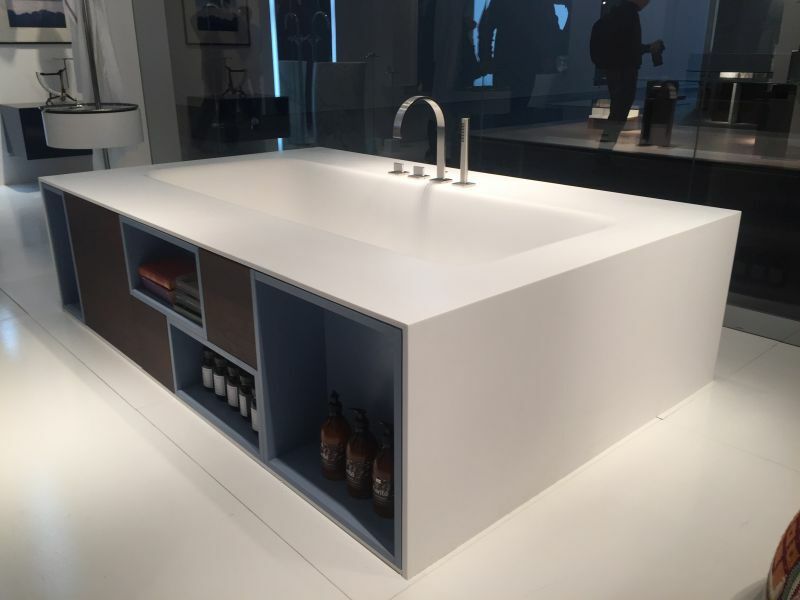 Because the space directly under the sink is not usually aesthetically pleasing, this portion is often enclosed. If you want open shelves and storage compartments in the bathroom look other places to put them in. You can still have enough storage in a small bathroom and make it look airy and open if you choose to decorate with a floating vanity. The unit will look lightweight and will leave the bottom portion of the wall exposed without sacrificing valuable storage space. The bathtub offers an excellent opportunity for some added storage. 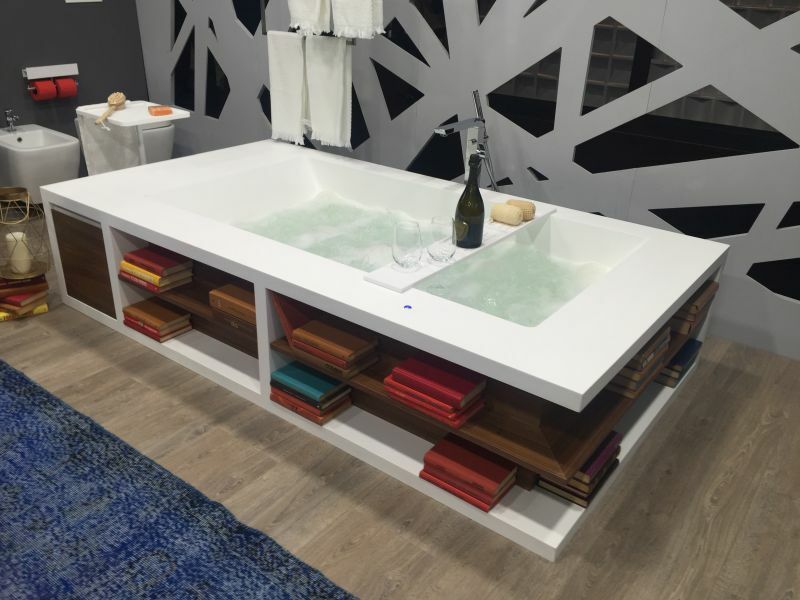 Freestanding bathtubs are especially great that way. You can design a frame around them which can include storage areas for things like shampoo bottles, hygiene products, scented candles and even some books. 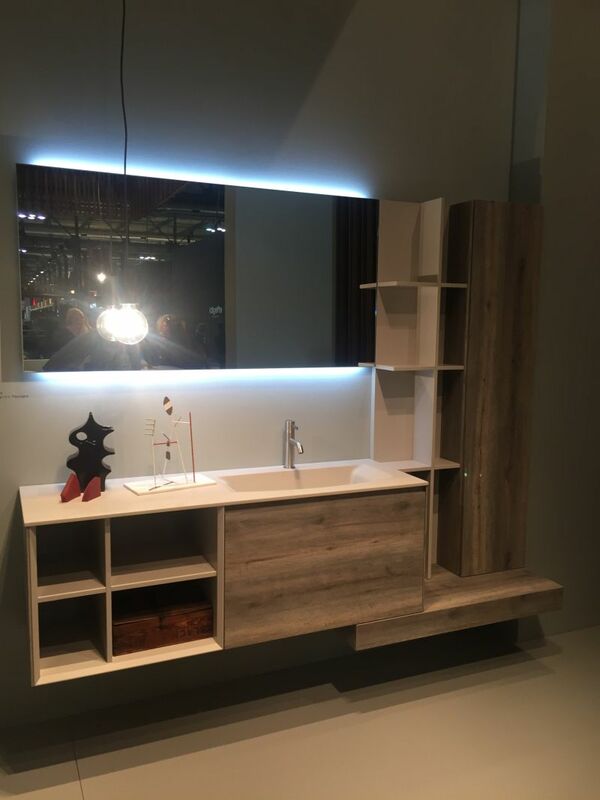 Some floating vanities are focused more on maintaining an open and spacious look than on offering as much storage as possible. Still, this doesn’t make them bad options. 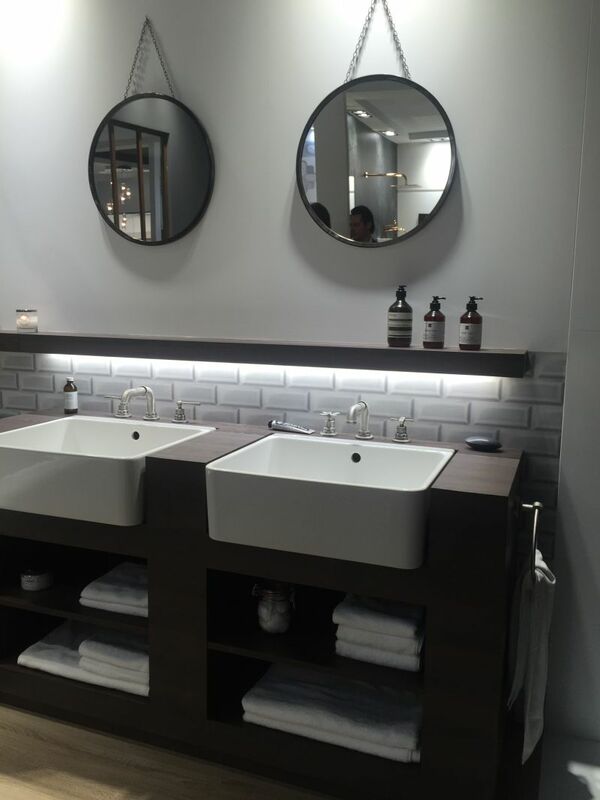 There are other ways to add storage to a bathroom and they can be just as simple and stylish. 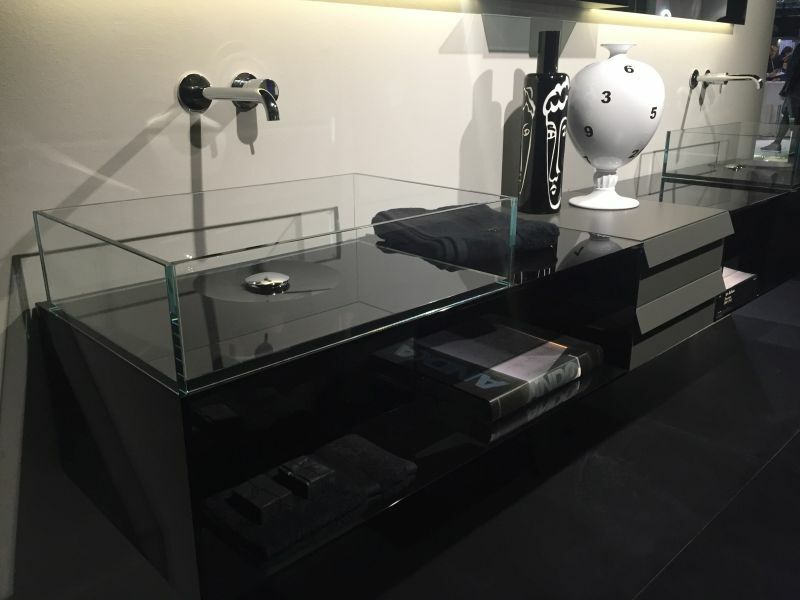 Black is a strong color and is rarely used in bathrooms. This makes it an unexpected detail and you can use it your advantage to give the bathroom a prestigious and glamorous look. Try to balance out the decor by adding some transparency to the room. 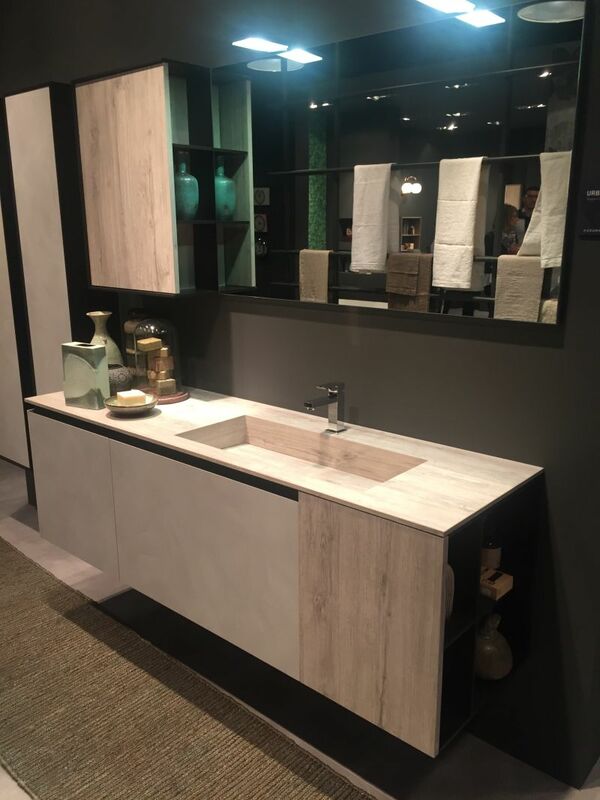 Keep the interior of the bathroom clean and simple with furniture that lacks unnecessary details and ornaments and focuses mainly on functionality. Such designs often make use of exposed storage in order to simplify things and to be more accessible. 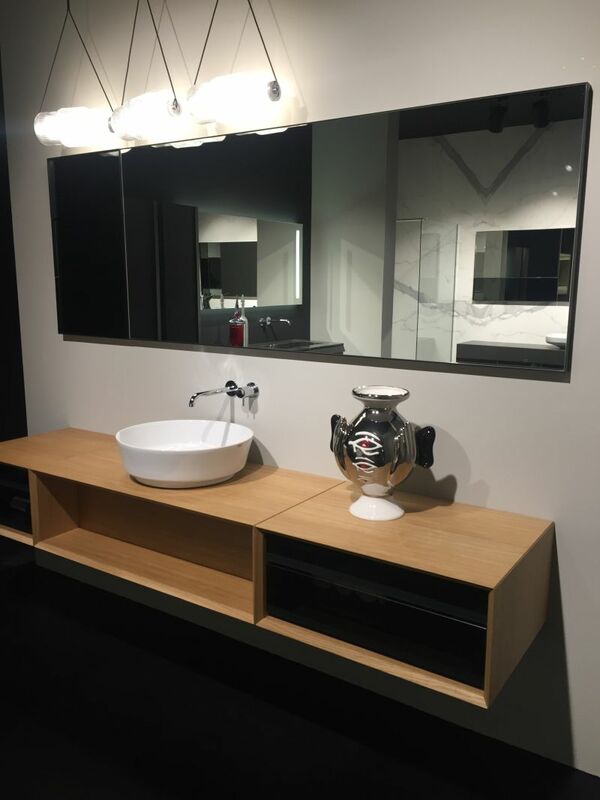 You can offer your bathroom accessible storage options and avoid exposing everything up front with elegant designs like this one. Complement the stylish choice of furniture with appropriate lighting and accessories. 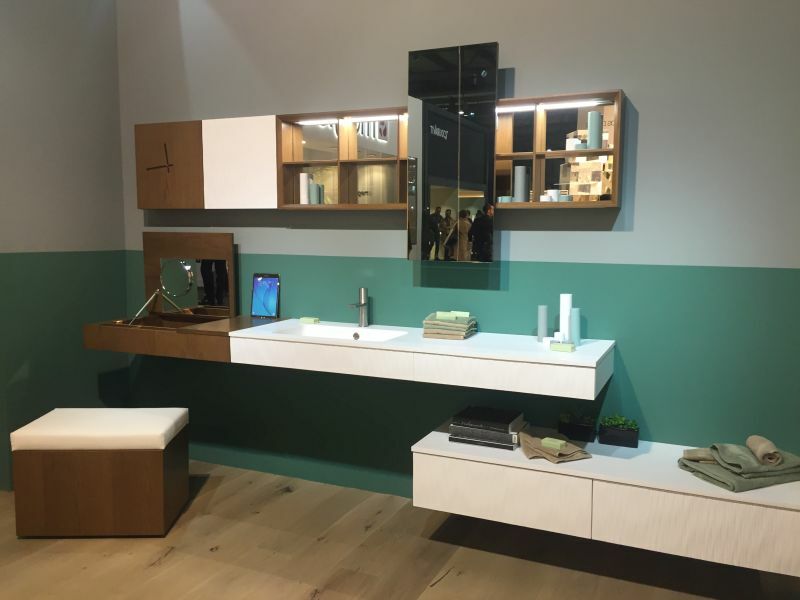 Wall cabinets and shelving units are perhaps the most practical of all. They’re also very versatile and their designs can be adapted to suit every room of the house. This is a perfect example of a design strategy meant to maximize storage without overwhelming the space. 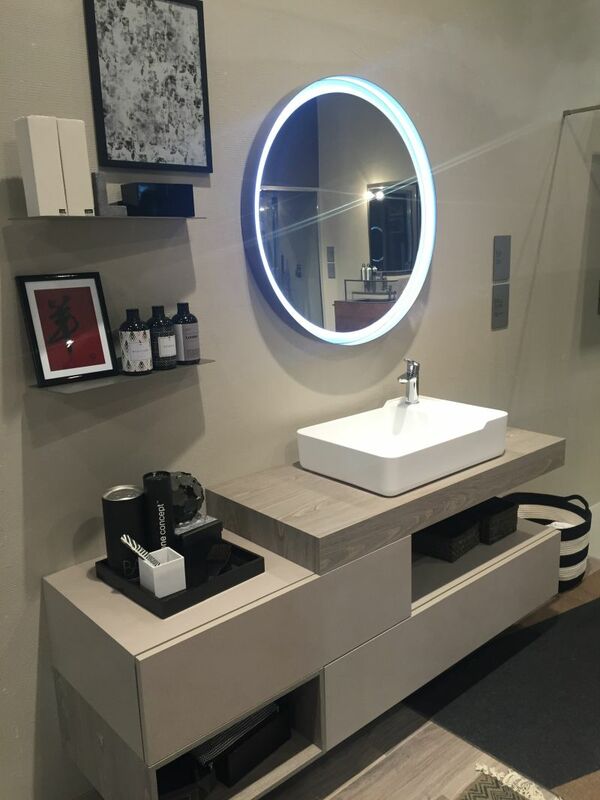 When space is very limited or if you simply want to focus on minimalism, consider a floating shelf as an alternative to the traditional vanity or cabinet. 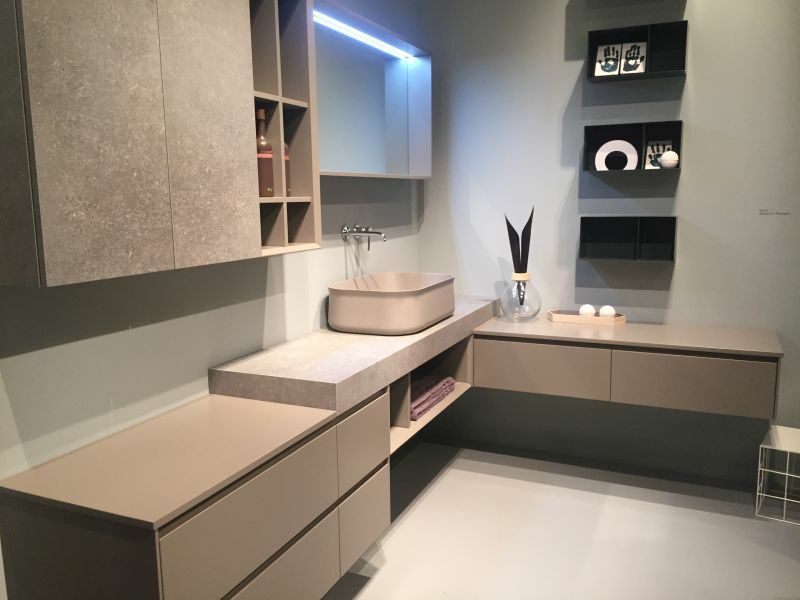 It will offer a surface on which to store and display a few essentials and everything else can be stored on wall shelves and storage towers. 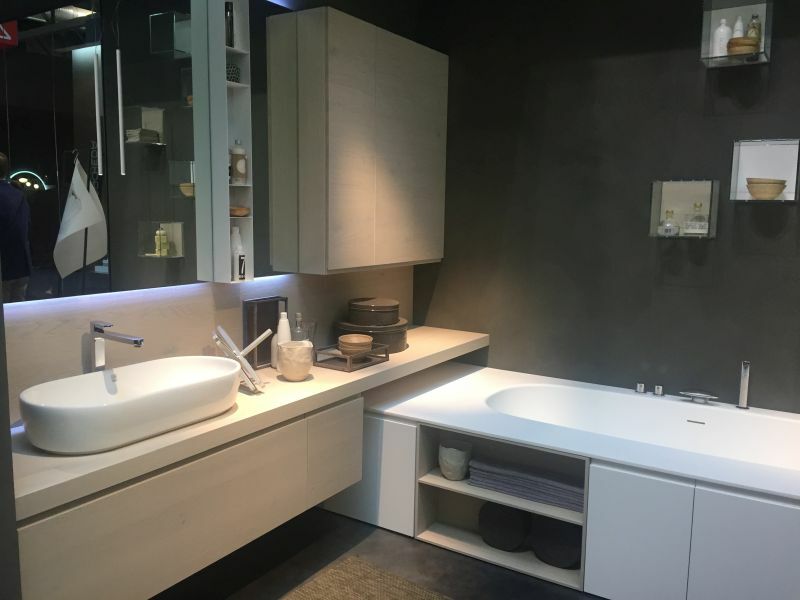 Custom furniture is the recommended option for bathrooms that have irregular layouts and shapes or for bathrooms that are small. Custom designs are meant to maximize functionality so the furniture makes the most of the every inch of space available. 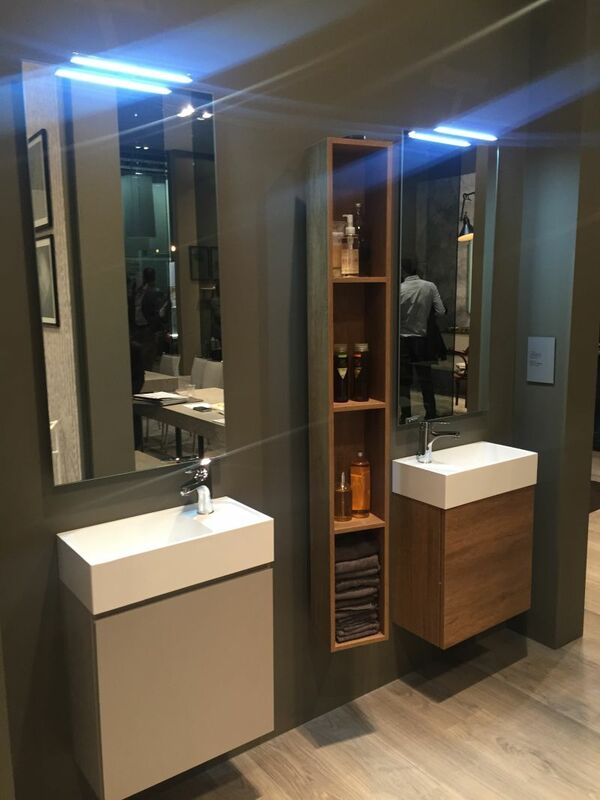 A lot of modern furniture pieces for the bathroom are designed to be multifunctional or to at least include a variety of storage and display options. 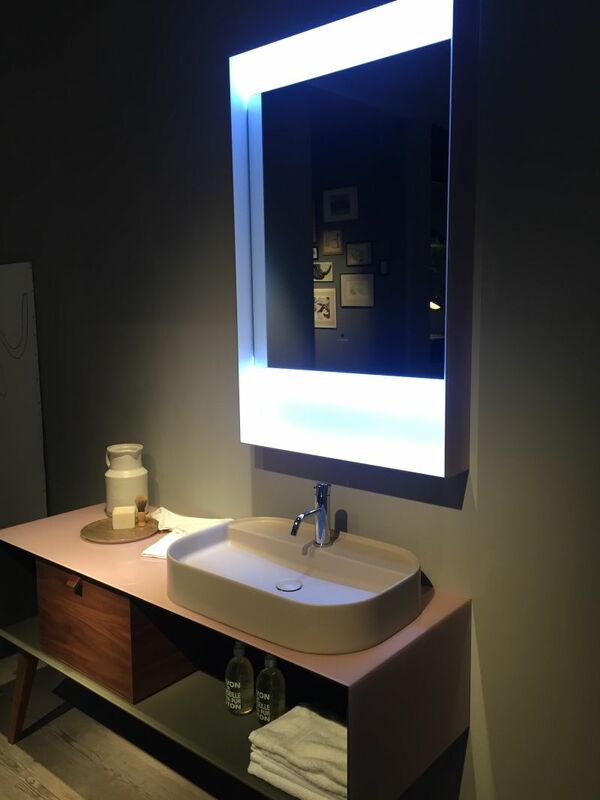 As a result, a unit can include a makeup vanity with lights along with other useful elements. 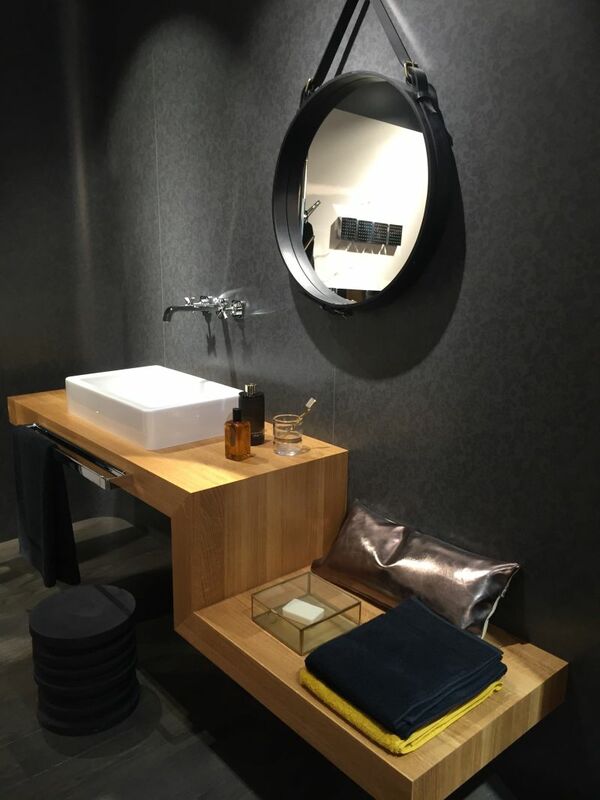 Instead of a large double vanity a stylish option can be to decorate the bathroom with two small units, each with its own washbasin, mirror and storage areas. They can be separated by a slim storage tower or a set of wall-mounted shelves. Marble is an elegant material often used in bathrooms. 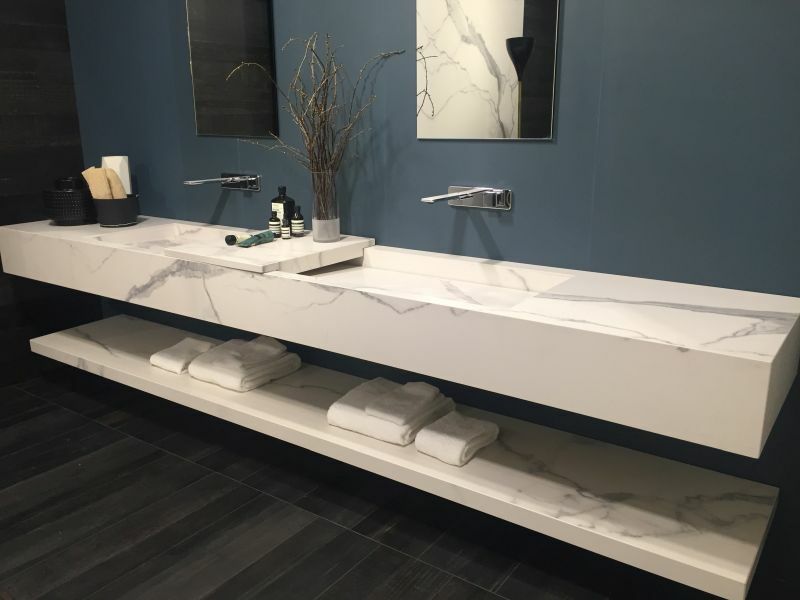 In addition to a marble countertop, the bathroom can also include other matching elements such as an entire vanity made of marble. This is a material appreciated for its natural qualities and its unique patterns and colors. Instead of a variety of separate furniture pieces and accessories, a bathroom can be simplified using a single larger unit. It can be custom made to perfectly fit the space and to offer the perfect amount of open and closed storage. A bathroom can be small and still be able to accommodate a large bathtub. To maximize storage in the room, surround the tub with practical storage shelves and compartments. This idea can also work for large bathrooms, allowing you add a touch of sophistication and interest to its decor. 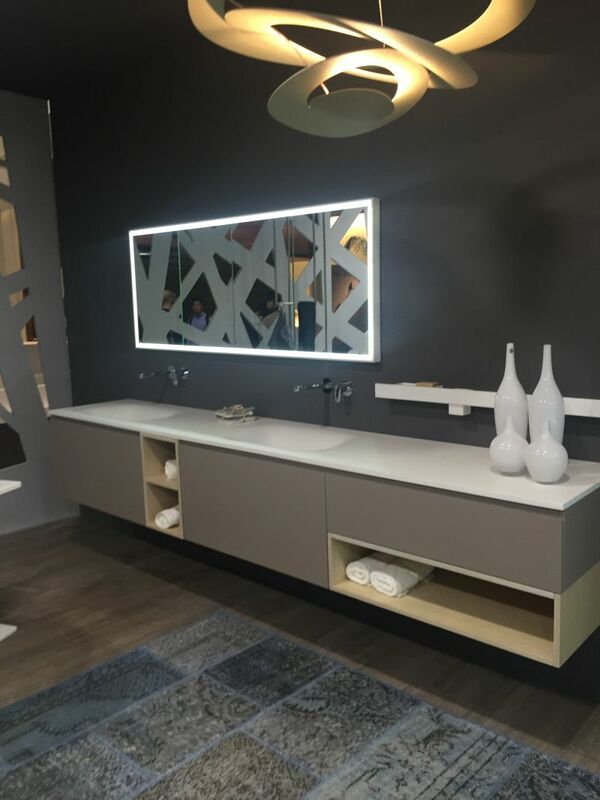 Maintain a clean and fresh ambiance and decor in the bathroom by decorating with minimalist furniture. 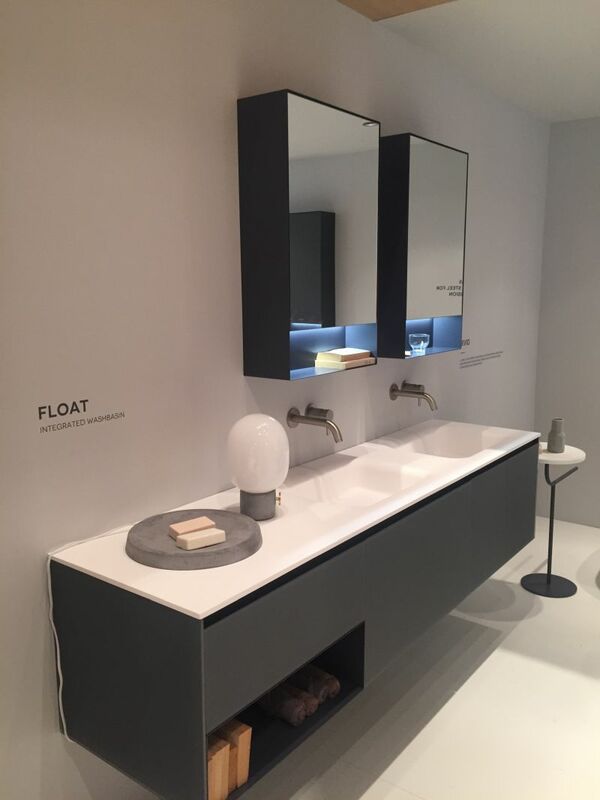 A floating vanity such as this one is a wonderful mixture of looks and function. Its design is very simple and, at the same time, offers lots of storage without making that the main focus on the design. 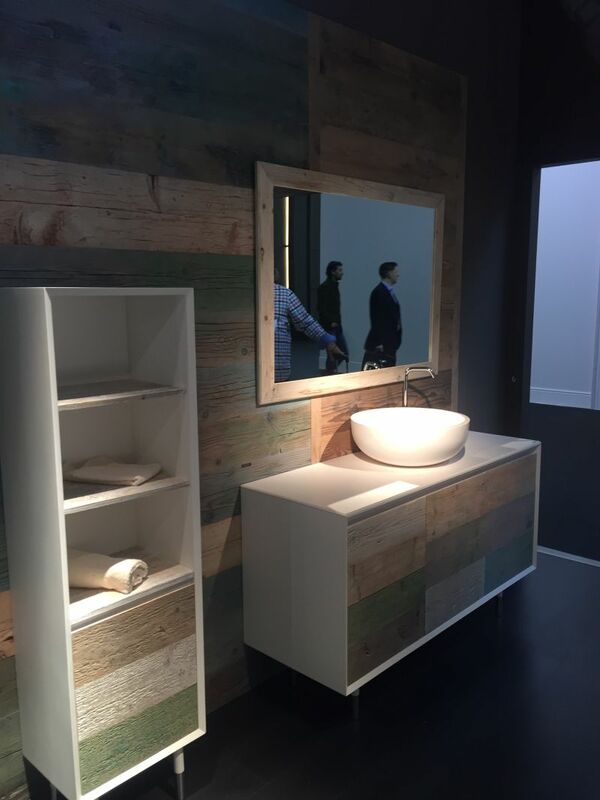 Side storage is an interesting option for bathrooms with unusual layouts. At the same time, it can also be an unexpected design detail for a design that wants to impress and to stand out in a subtle way without compromising on function. Exposed under-sink storage is a good design strategy if your desire is to give the bathroom a chic and organized look. This option keeps things accessible and close at hand without neglecting looks and style. 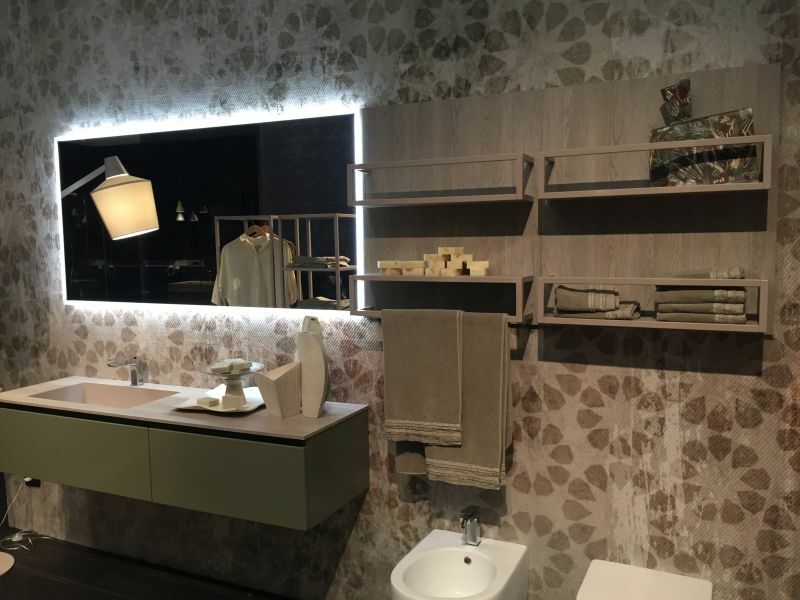 One simple way of making the most of every little space and feature in a small bathroom involves adding a towel rod to the underside of wall-mounted shelves or cabinets. Other similar ideas can be adapted to perfectly suit the available space and the chosen style. Increase the bathroom’s storage capacity by occupying the walls. 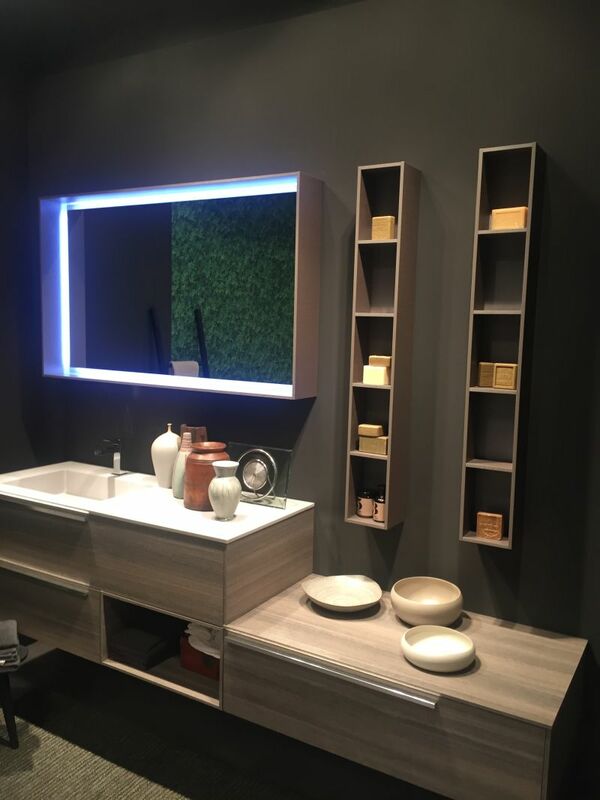 Wall-mounted cabinets and shelves are suitable and versatile options and they can be combined with mirrors and other accent elements for a harmonious and well-organized look. Slender shelves are an added bonus to any bathroom. Similarly, vertical storage units and towers are ideal for keeping small things and necessities organized and accessible without using bulky furniture or bathroom storage cabinets that occupy floor space.